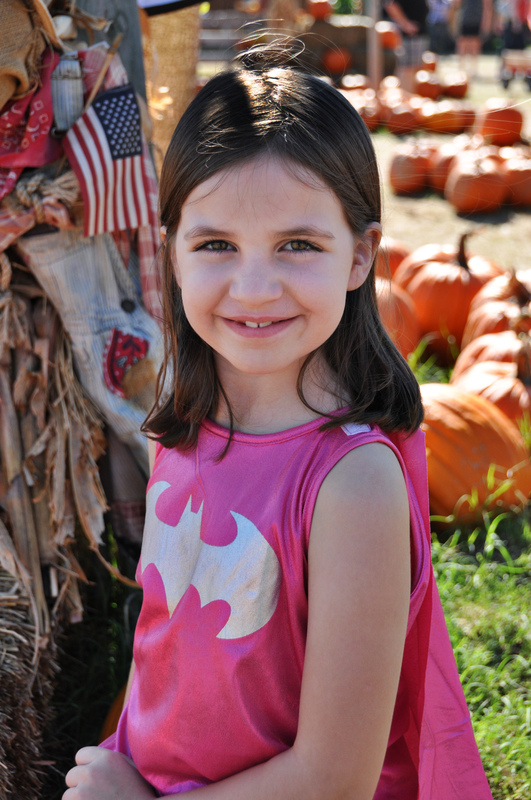 The weekend before last, we took the girls on their annual trip to the pumpkin farm. It’s not really a farm. It’s set up more as a cash cow a store, and entertainment area. It is a GREAT place for pictures, if there weren’t a million gillion people there. BUT, I did the best I could and I did get a few nice shots. 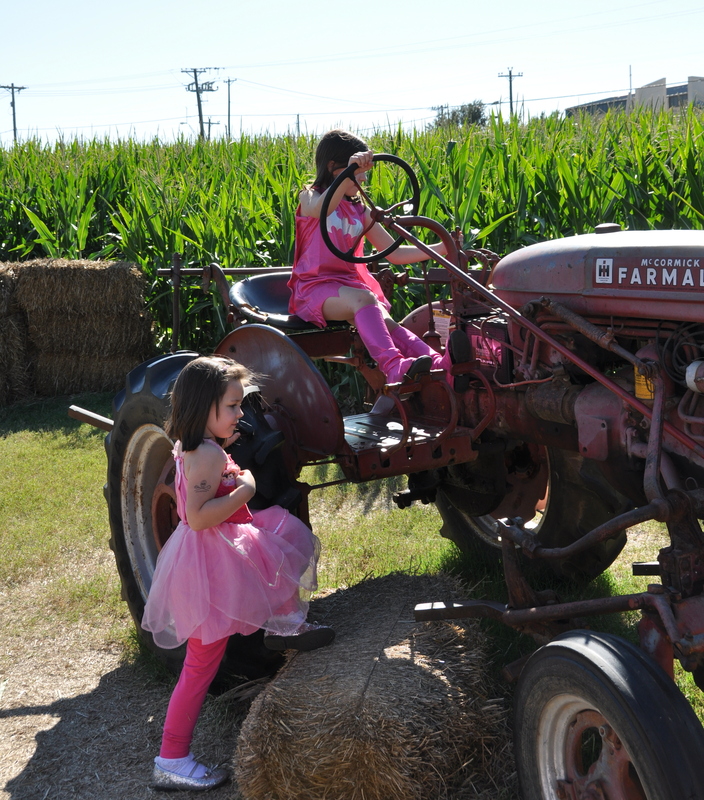 They have some great props; a corn field, pumpkins, hay stacks, tractors, and an old truck. 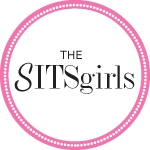 My oldest daughter had to work, so we just had the two little ones – my stepdaughters. The day was a HOT one – 94 degrees. The sun shined bright, bright, bright. I, myself, was miserable and sweating buckets. I did not take near as many photos as last year, due to the fact, I was about to pass out from heat stroke. I’m not sure if I have mentioned lately that I am in early menopause, and I have a thyroid disorder. Both grant me a nice summer body temp year around. Yippee! Still, it was fun. The girls got to wear their costumes (these are for play since we don’t get to do trick or treat with them). And we had fresh kettle corn (along with several bottles of water). These were on the old truck. I LOVE THIS TRUCK. We moved to the tractors. Jason took Molly into the corn maze. I was way too hot for that – absolutely NO WIND. Instead, I took Bridget to the playground. 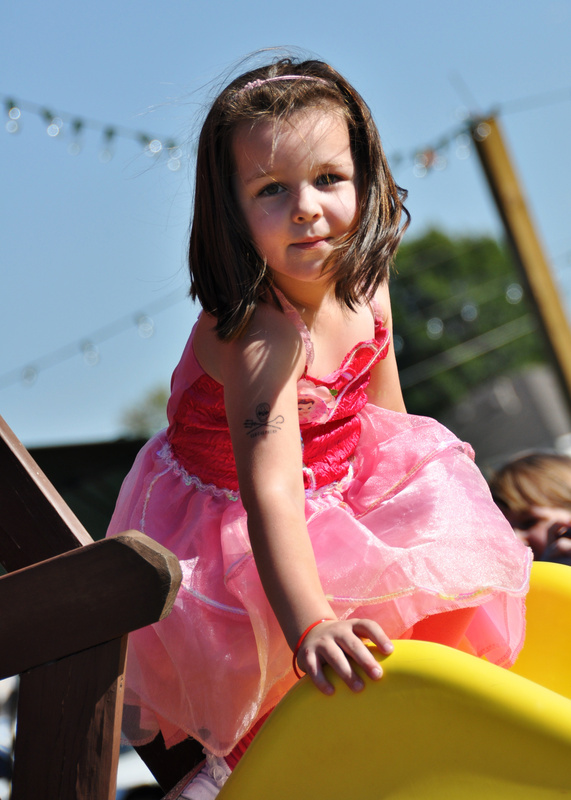 She had a ball – jumping, sliding, and climbing big tires. We left, and had many cold bottles of water (at least I did). Maybe, next year, It won’t be as hot (ha!). 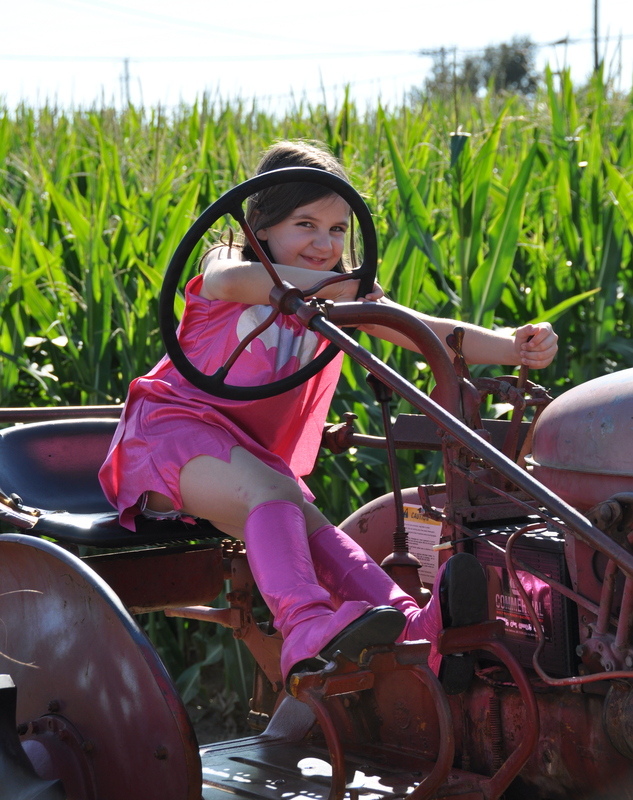 If you are local, do check out this great place, Hall’s Pumpkin Farm. 94 degrees?! We’re lucky to hit 60. They look so cute in their costumes. Beautiful pics! That old truck is awesome – those were my favorite shots! Love the little fake tat. 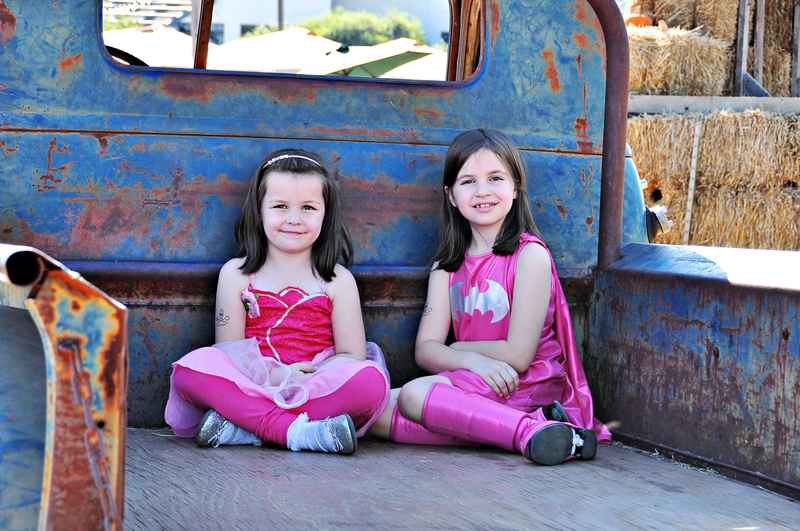 My girls were pink super heros last year. Sorry about pre-menopause giving your body grief. I now have the old school TV Batman theme running through my head. Nuh nuh nuh nuh, Nuh nuh nuh nuh, Nuh nuh nuh nuh, Nuh nuh nuh nuh, BATMAN!!! 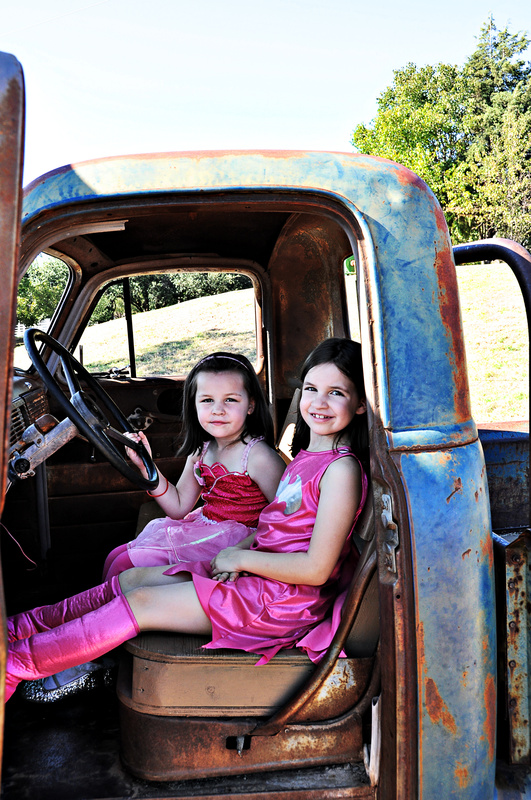 I love the contrast between their pink outfits and the old truck! Very cool. What a greata photo op! 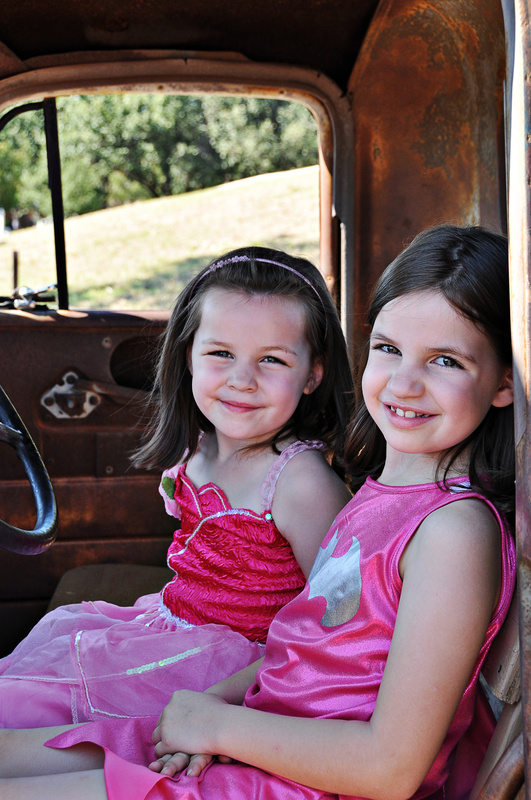 Love both the truck and the tractor…the girls were rockin’ them! louisemarpaung reblogged this on louisemarpaung. Those are great, Angelia! I am so excited today, because on my photo walk yesterday I got what I consider my very best photograph (not quite perfect) to date, of a rose on it’s “last legs.” In other words, it is a bit frazzled around the edges. I had all the settings almost perfect, and no “blinkies” on my info screen! The no blinkies part is really an achievement for me, because I have been having a hard time getting the ISO, f/stop, and aperture correct enough to keep the light and/or white parts in close-up shots from being way overexposed!. I’m going to post it on my photos page – so check it out when you have time! Ok…the old truck is awesome!! You got some really cute shots…and I love their costumes! 94!! Wow – we are getting ready for snow 🙂 It looks like they had a lot of fun! Love the old trucks – isn’t there something so timeless about them!! Cute pictures! Absolutely stunning. The colours are so crisp. Love. 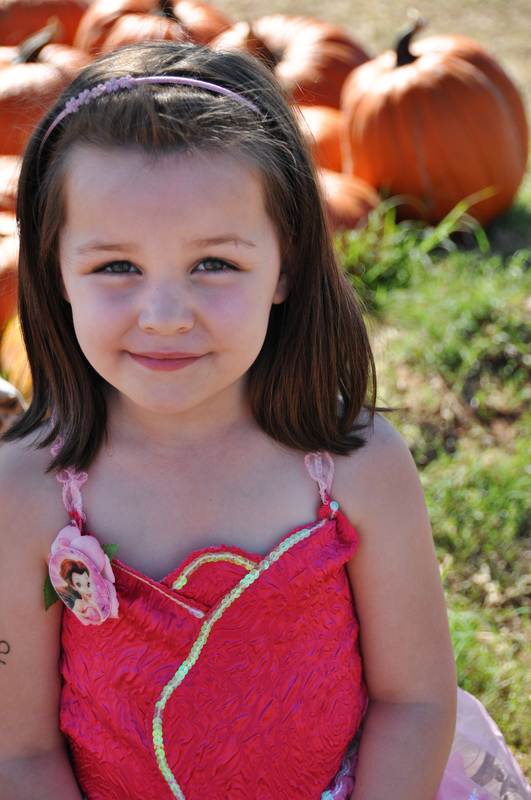 We couldn’t find any pumpkin patches in our area so we ended up going to a grocery store and picking one out there. So we don’t have any photos boo. 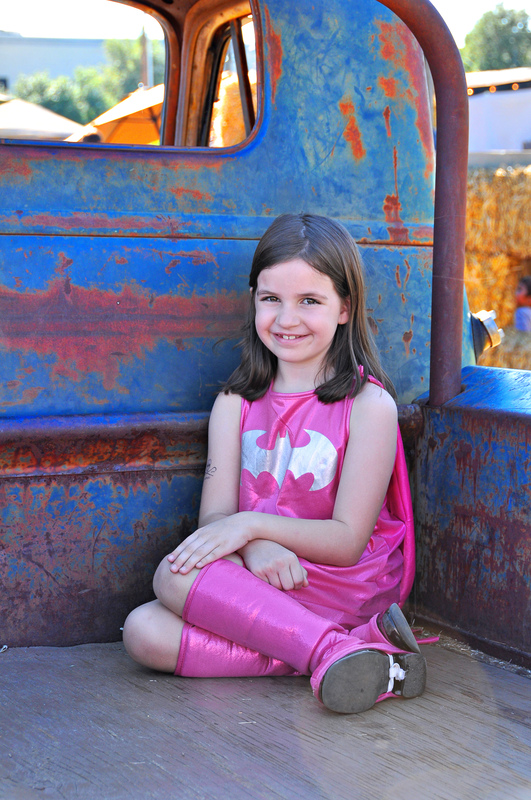 I puffy heart that old truck and the pics of your kiddos on it. Super cute! I cannot believe it was 94 degrees — so glad I’m not there! Good for you for making it through this day — your photos are so good! 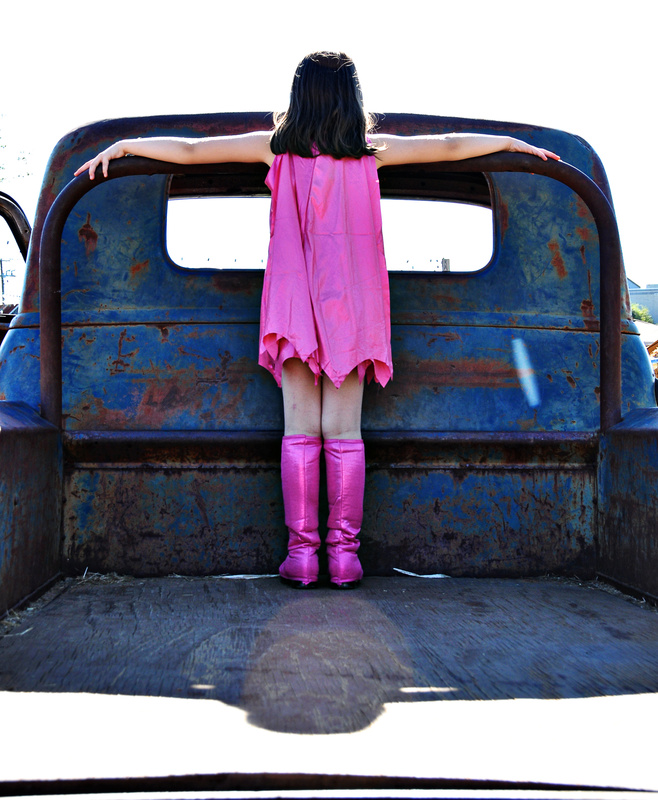 I love the photos of your girls and the old truck, especially the first one. I’m glad you guys had such a good time! Hope the weather cools off a bit for you soon. What a bummer it was that hot! Pics are perfect. The oldest one is becoming quite a young lady, isn’t she? Take care and I hope the pre memo pause will disappear soon. Looks like the girls had a fun day. LOVE that truck! 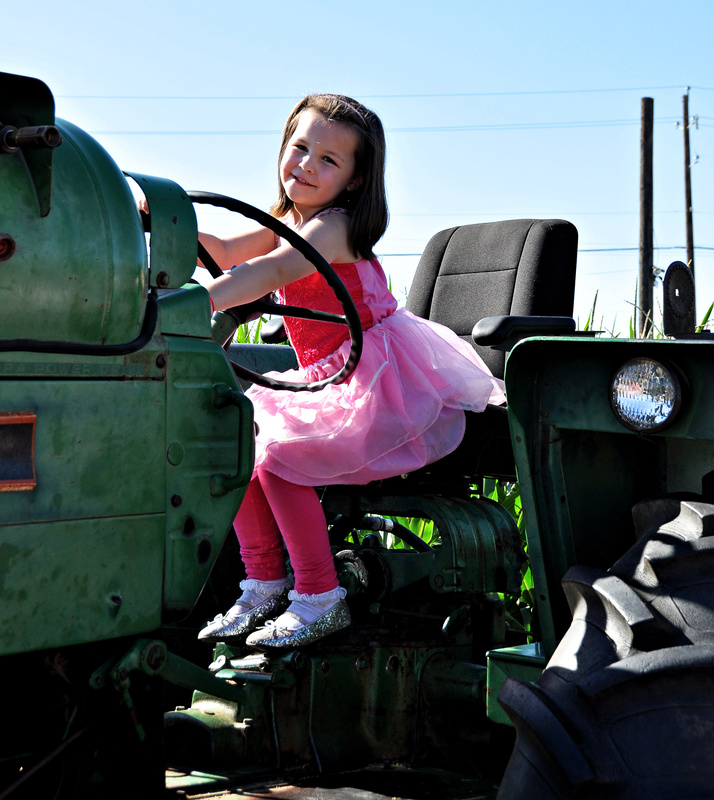 I grew up and still live in farm country. I have driven and ridden in that old truck, also ont that little red tractor. The girls are beautiful. Great story, great pictures. Pingback: My Year in Blog | Living, Loving, Laughing…..